Do you know the actual BC (Ballistic Coefficient) of your rimfire ammunition? Well Applied Ballisitics will soon have answers for you. Bryan Litz and his team of testers have been working on a Herculean project. 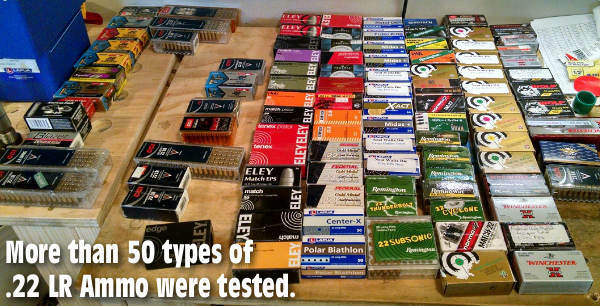 They’ve been testing over fifty types of .22 LR ammo, using five different twist-rate barrels. 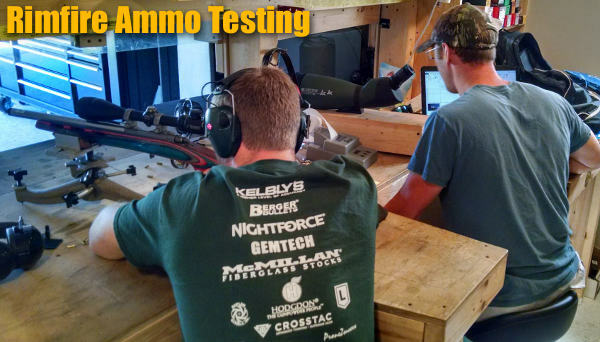 Share the post "Applied Ballistics Tests 50+ Types of .22 LR Rimfire Ammo"
To access the guns under the sliding table-top, first you flip down a wood trap-door on the side. That exposes a key-lock which unlatches the interleaved left and right table segments. These slide open horizontally on metal tracks, exposing the full arsenal underneath. This “table vault” is a very clever design, built with fine craftsmanship. You can purchase this table from the maker for $1499.00. This table has a secret latch which pops down. Behind it is a deadbolt (or Kevo enabled Bluetooth lock). 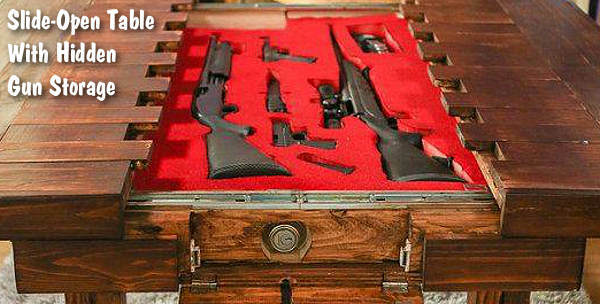 Once unlocked the table slides open toe reveal your valuables and/or guns. The table comes with a piece of blank white foam you can customize for whatever you would like to put inside. 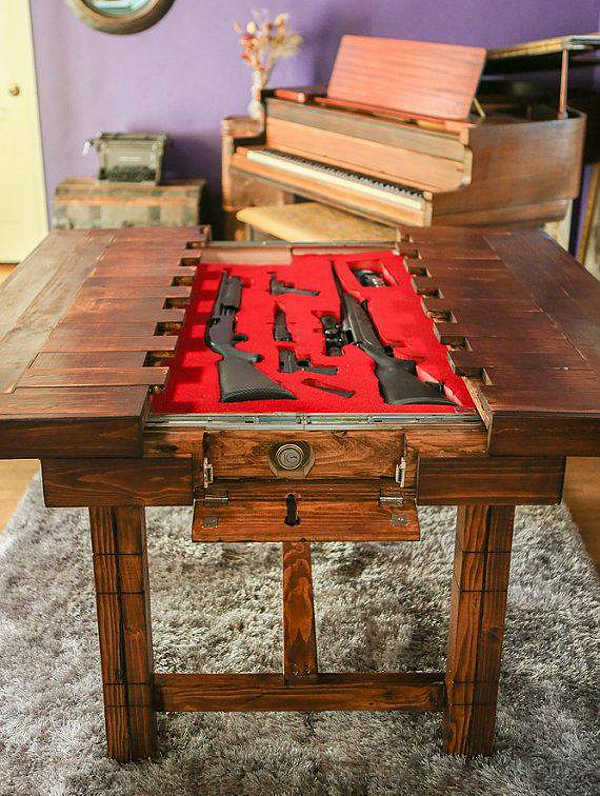 Share the post "Fine Furniture for Firearms — Sliding-Top Table Vault"